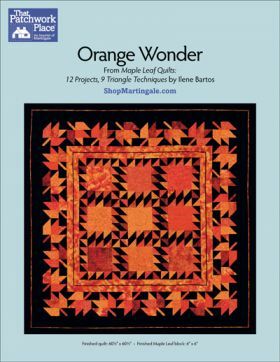 Designed by Ilene Bartos. 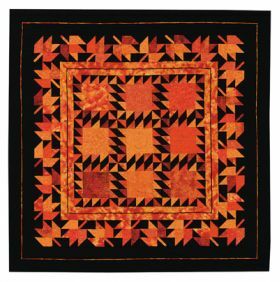 The center of this stunning quilt looks like it's intricately sewn, but it's actually created with big squares and three simple sashing units. 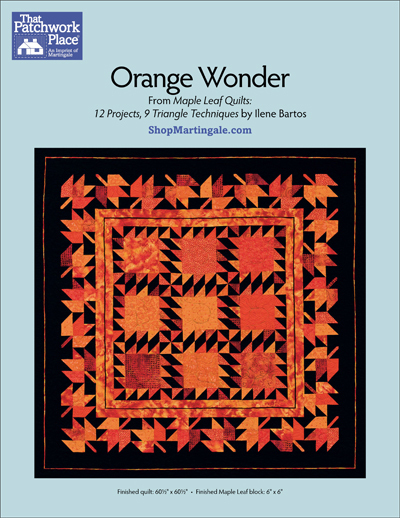 Vary your orange fabrics (or choose your favorite color) in the sashing and Maple Leaf border for a visually rich look. Finished quilt: 60 ½" x 60 ½"